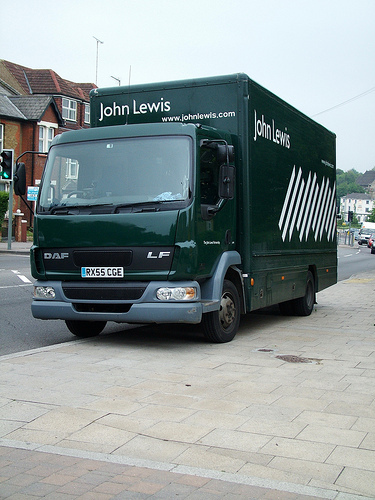 John Lewis' recent defense of its new policy of charging suppliers a 'rebate' for increased sales through its stores (see John Lewis defends supplier rebate demand) provides a great example of Porter's 5 Forces at work. Suppliers are seeing big retail distributors like John Lewis and the large supermarkets becoming more and more powerful and able to dictate the terms of business. In Porter's terms, the Bargaining Power of Distributors is increasing. This ultimately makes it harder for the suppliers to turn a profit (a fact many bemoan) unless there are other compensating changes in any of the other 4 Forces. For example, big retailers' control of the industry could reduce the Threat of New Entrants by imposing barriers to entry in the form of established relationships, supply chain integrations or other conditions of doing business. Similarly, if the suppliers own suppliers don't have a lot of bargaining power, the burden of the demands imposed by the big retailers could simply be passed down the chain. Porter's 5 Forces also suggests that if the big retailers become too powerful and demanding, then the drive for suppliers to find alternative means of distribution will increase. In this way, the free market should ultimately limit the amount of power these distributors can acquire. The market will either stabilise with all parties in the value chain able to extract their fair share of the profit, or some innovation disrupting the existing value chain. Using Porter's Five Forces model in this way is a valuable tool in helping each supplier decide how to respond to John Lewis's new policy.